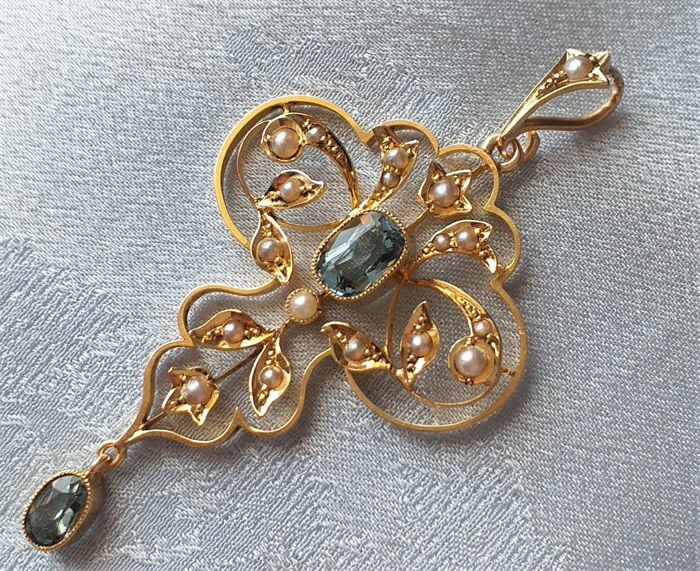 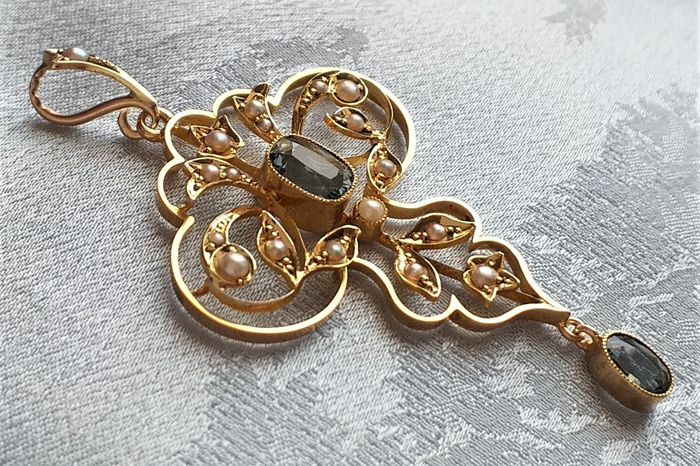 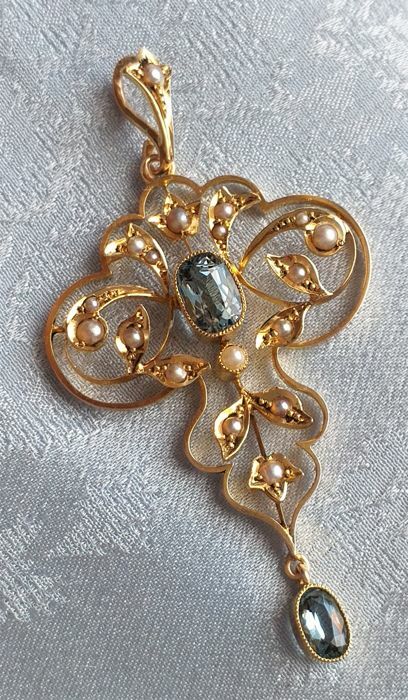 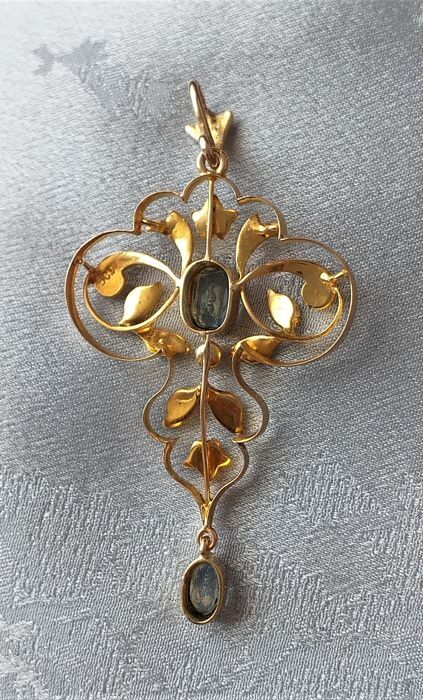 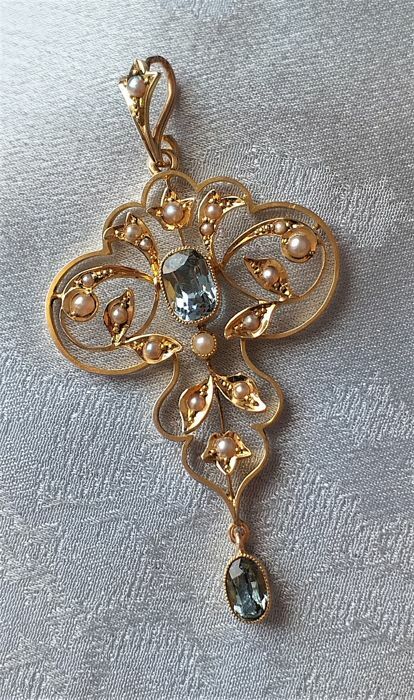 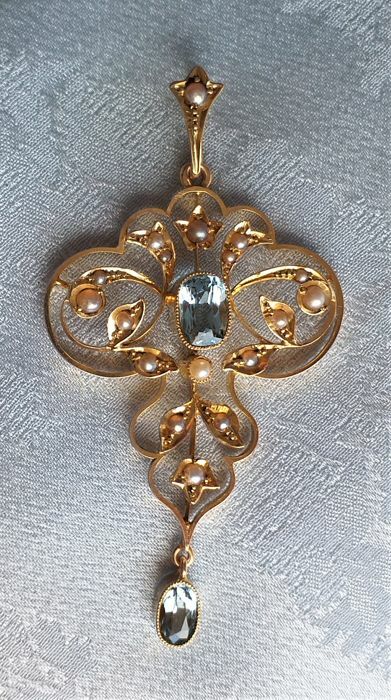 An early 20th century 15ct yellow gold topaz oval-shape and seed pearl pendant/lavaliere. Overall condition very good. 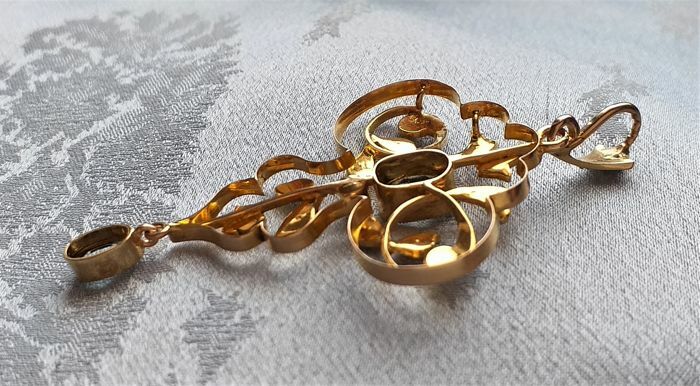 Minor surface scratches / wear in keeping with general age and wear.